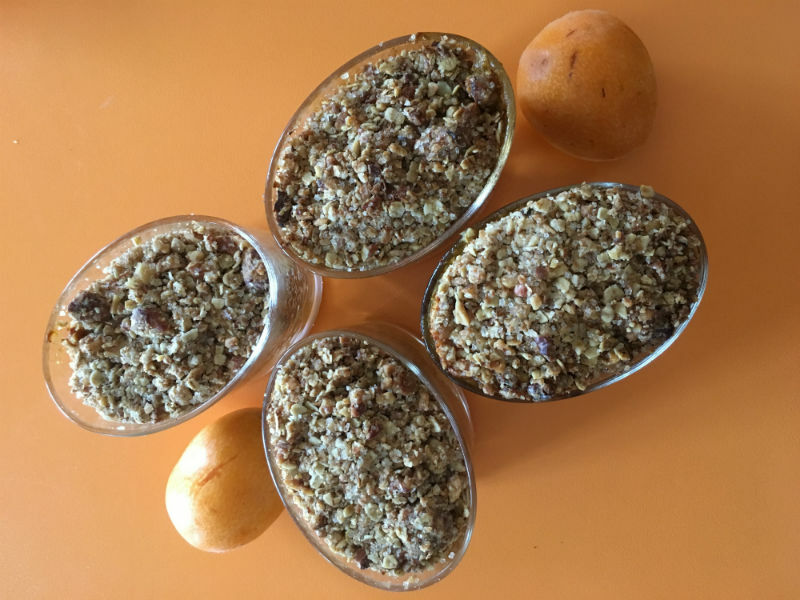 Fruit crumble is a very popular dessert, however it is very versatile as it can be prepared also for breakfast and snack with different fruits. Lamb Brand Cinnamon, ½ tsp. Preheat the oven to 1800C. In a medium sized bowl, combine the loquats, orange juice and zest and star anise and set aside. 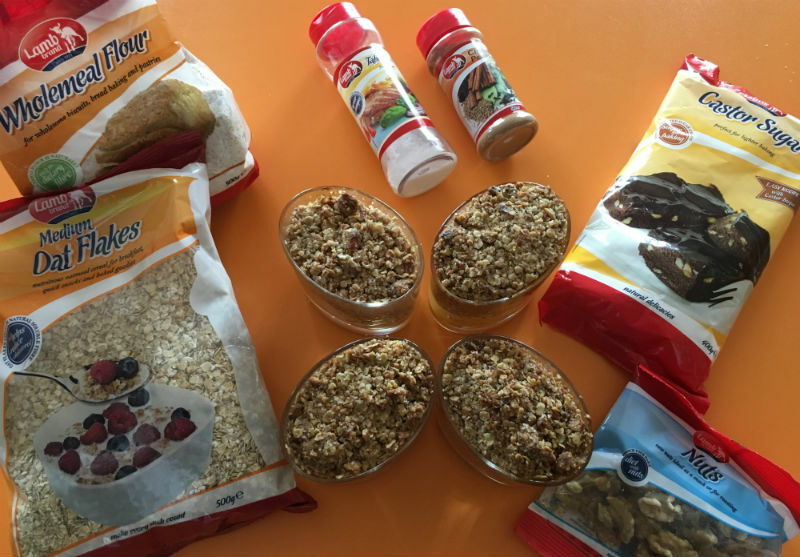 In another medium bowl, combine the flour, oats, walnuts, sugar, salt and cinnamon. Stir to combine. Add in the coconut oil and rub it in the dry ingredients. 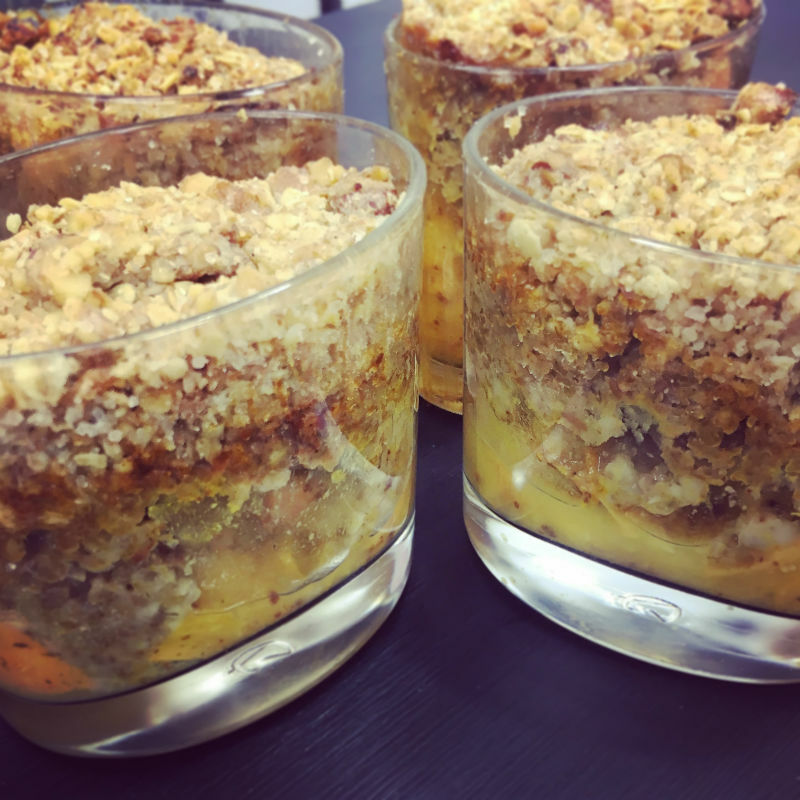 Fill glass jars about ¾ of the way full with the fruit mixture, and then top with the crumble mixture. Bake for 20-25 minutes, until the crumble is nice and golden on top. Remove from the oven and set aside to cool slightly before serving.